Remembering Sam is an exhibition celebrating the life and artwork of Sam "The Dot Man" McMillan. Sam was born June 22, 1926, in Robeson County and was a well-loved fixture of the artistic community. He was a self-taught artist who worked prolifically but didn't start until he was in his 60s. Throughout his life, Sam worked many different jobs including as a chauffeur and furniture-maker. After he moved to Winston-Salem in 1977, he eventually ended up working for DeWitt Chatham Hanes, who encouraged his painting. His work could be found around his house and property on Northwest Boulevard. 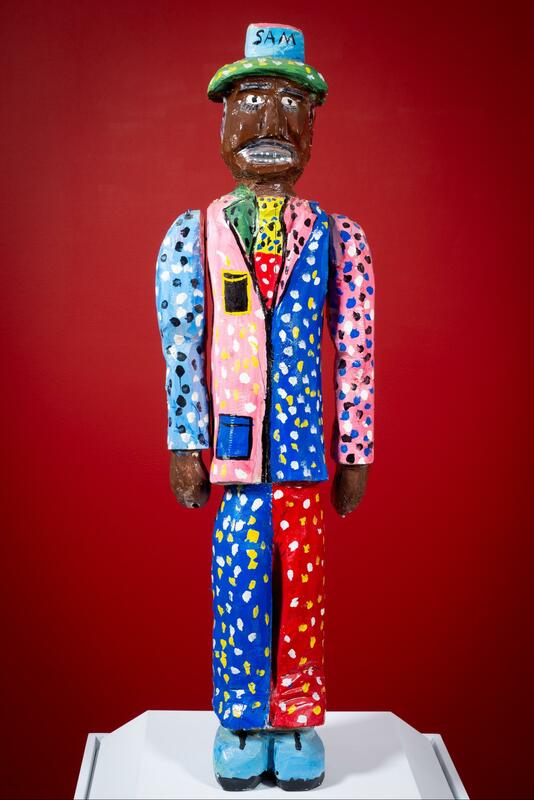 His artwork was exhibited at the Outsider Art Fair in New York City, the Kentuck Festival of the Arts, Hickory Museum of Art, the African American Museum in Dallas, Texas and the Smithsonian's Anacostia Community Museum. The artist passed away at the age of 92 on August 22, 2018, in Winston-Salem. SECCA's exhibition includes works of art from public and private collections and serves as a small memorial to all the art that Sam created as well as his vibrant and full life.